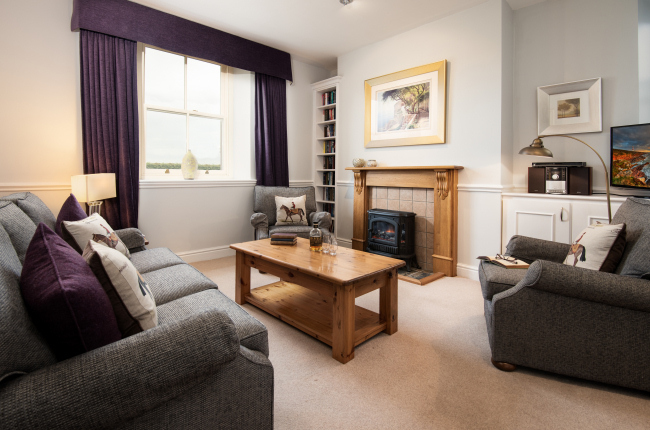 Now a luxury self-catering holiday cottage, this is the original farmhouse of Doxford Home Farm on Northumberland's Heritage Coast. 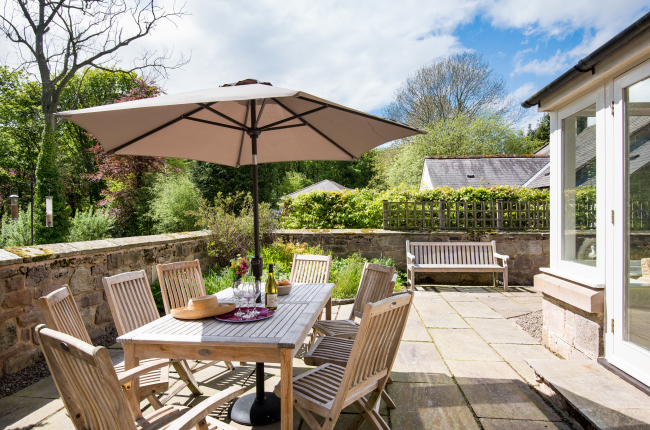 This exceptionally spacious house offers the very last word in gracious living, and makes a wonderful base for holidaymakers visiting Northumberland who require comfort, tranquility and style. 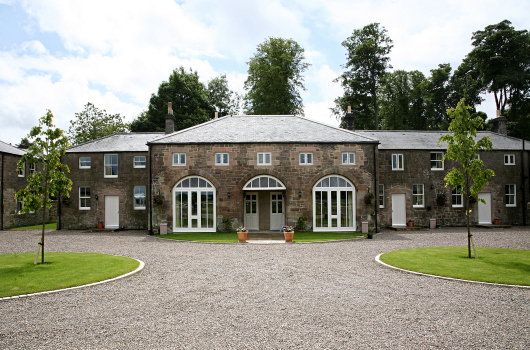 It can be combined with other cottages on the estate to accommodate larger groups, the living areas in Doxford House - comprising two sittings rooms, conservatory and garden terrace - being spacious enough to serve as the hub for social gatherings. 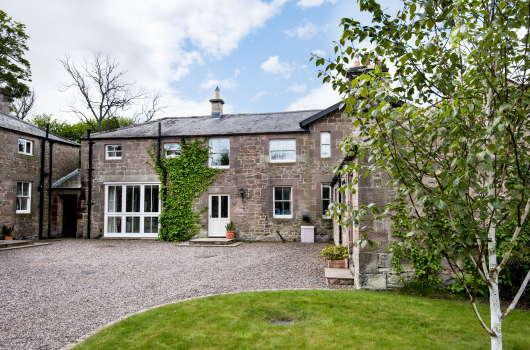 Formerly the original farmhouse of Doxford Home Farm, this exceptionally spacious house offers the very last word in gracious living, making it a wonderful base for those requiring comfort, tranquility and style. 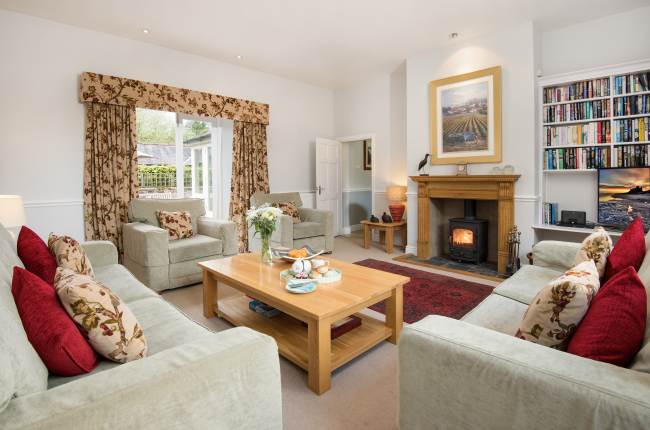 This 5 Stars Gold self-catering holiday cottage offers a unique opportunity for a very special holiday in Northumberland. 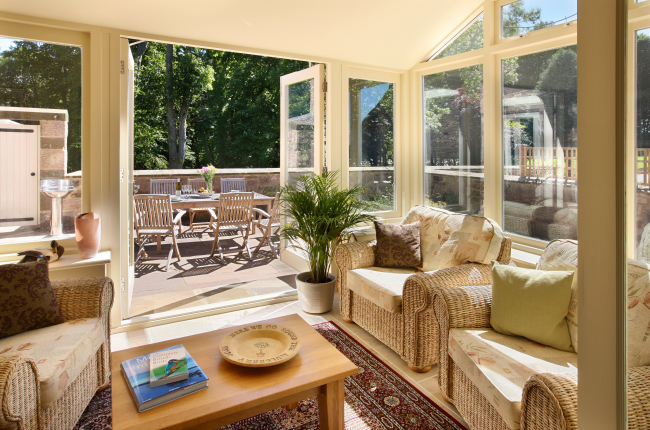 There are three seating areas in this house, which allows up to eight guests to holiday together comfortably without being on top of each other. 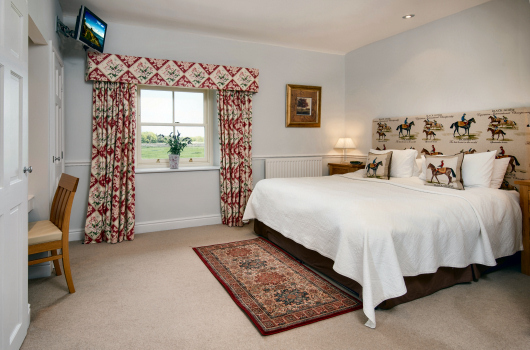 There is a large elegant drawing room with an open fire, a sitting room and a garden room. 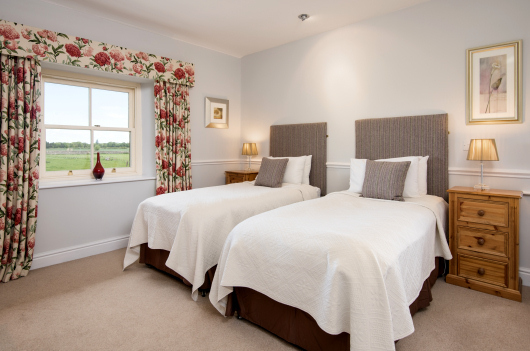 French windows open from the drawing room and the garden room on to a terrace with lovely views through the glade to the lake. 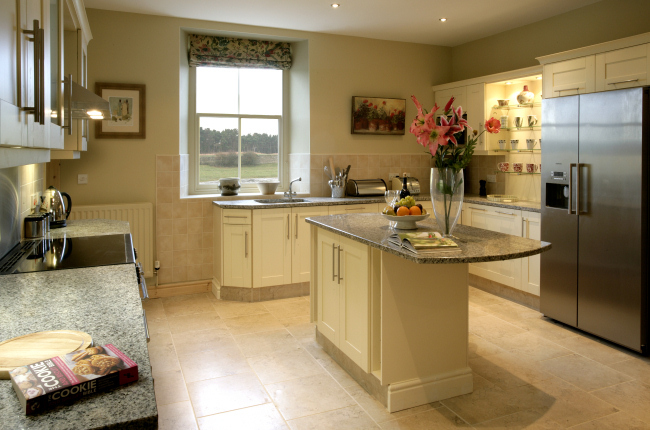 All three rooms have open views, comfortable seating and superb fixtures and fittings. 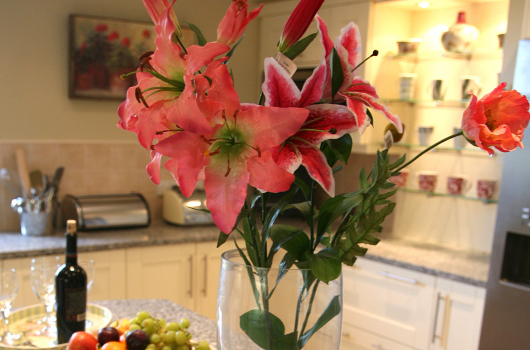 As in all of the holiday cottages at Doxford, there are masses of books and good quality pictures and prints. 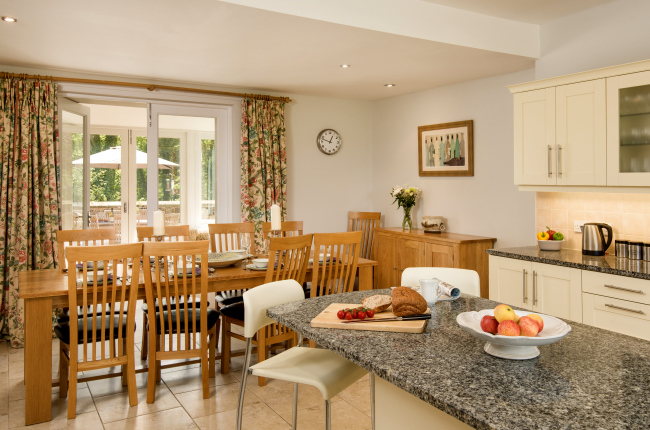 The large farmhouse kitchen is superbly equipped with granite worktops and a full range of modern equipment, including an American style fridge and range cooker. 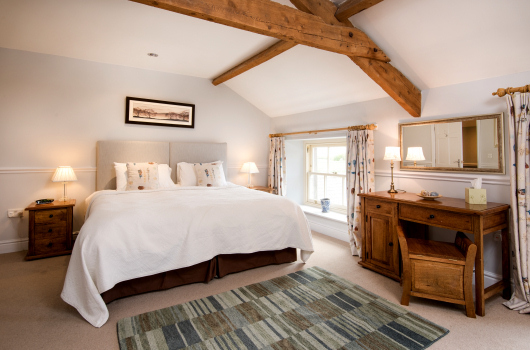 Upstairs, there is a double bedroom with a super-king-size bed and an en-suite shower room; a twin bedroom with zip-link beds (which can optionally be made up as a super-king-size double) and an en-suite shower room; and a third twin bedroom, also with an en-suite shower room. 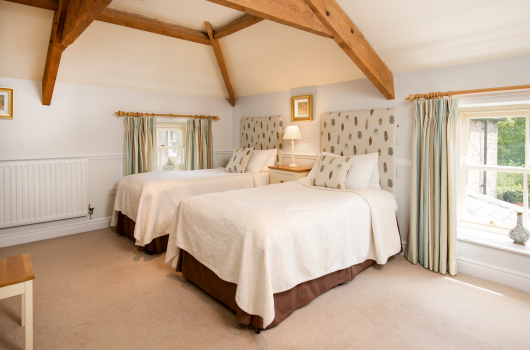 There is a very spacious fourth twin bedroom and family bathroom with bath and shower.